Tis the season for delicious goodies! I probably bake about 20 different goodies each holiday season. Everything from candy to fudge. The thing is, my recipes have to be easy! I like to make treats that take less than an hour to make. 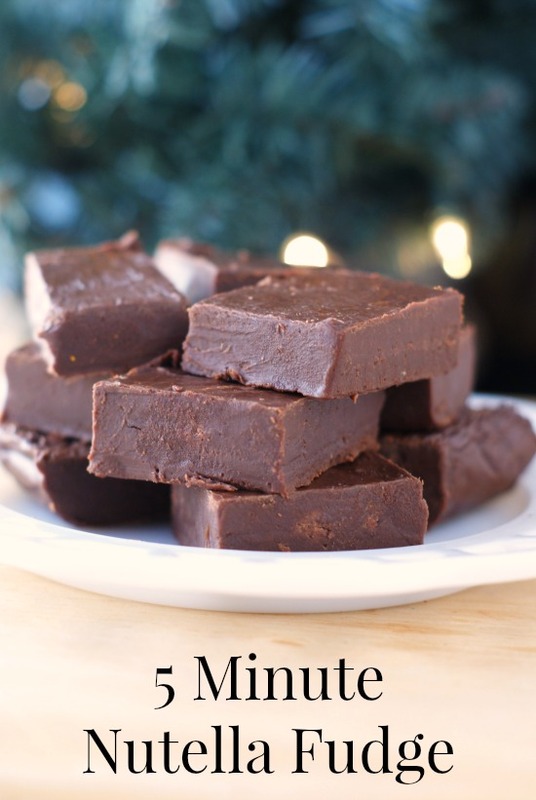 Are you looking for an extremely easy treat to share this holiday season? 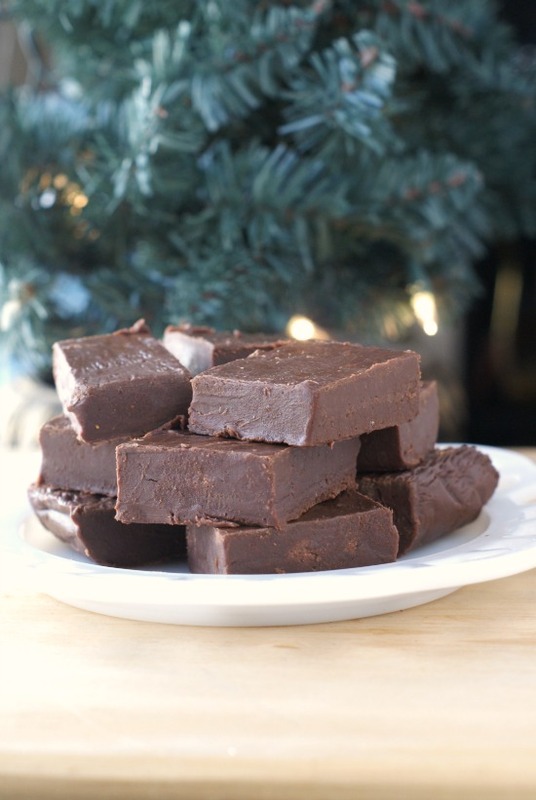 This easy to make Nutella Fudge is perfect for gifting or serving at a holiday party. Or hey, make a batch just for yourself! 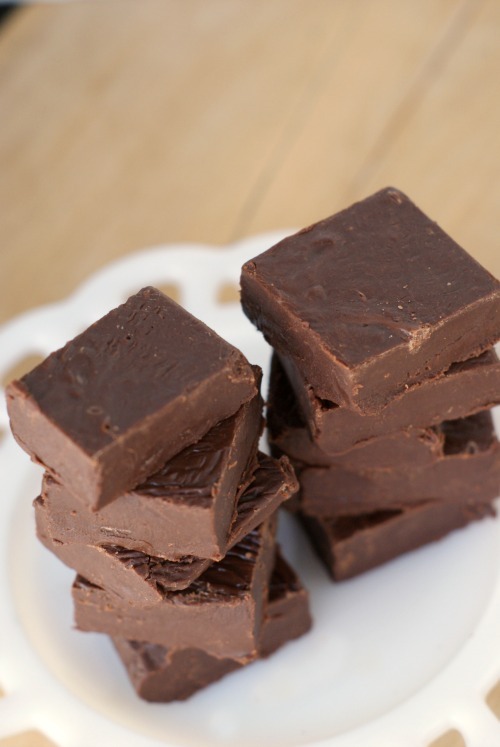 This fudge can last up to a few weeks in a sealed container. Take an 8X8 pan and line the bottom and sides in foil. Slowly melt the chocolate chips, condensed milk and butter on the stove over a medium heat. Be sure to continuously stir the pot or they will scorch. Once the chips are melted, pour the Nutella in by the spoonfuls. Stir until the mixture is completely smooth and is all one color. Pour the mixture into the aluminum foiled pan. Place in fridge to harden. 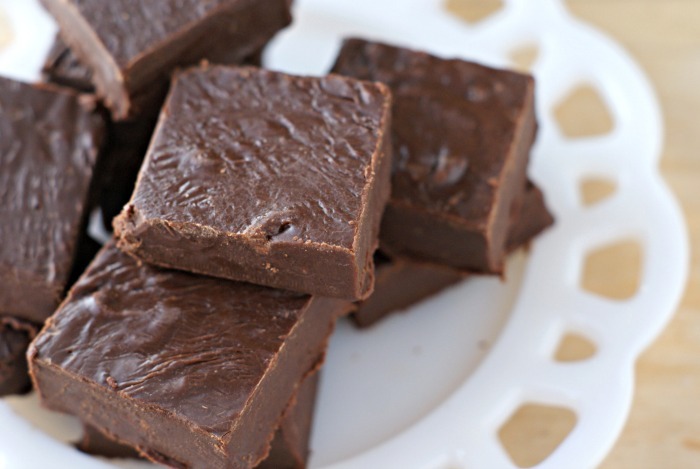 Once the fudge is solid, remove the foil from the pan and cut the fudge into squares. *You could also make this in the microwave, just be sure to do 1 minute increments or it may scorch.